As the world’s third-largest democracy with more than 260 million residents, Indonesia boasts a vibrant electorate—nearly 70 percent of voters turned out in the last presidential election in 2014. Tomorrow, on June 27, they will head to the polls for Pilkada, regional elections for governor and other local positions, in the lead-up to next year’s national elections. As people prepare to vote, the Google News Initiative has been working with journalists to fight the spread of misinformation in the lead up to the elections. Twenty-two media companies—including all major national and regional news orgs—have launched CekFakta, a collaborative fact-checking and verification project in collaboration with the Google News Initiative, the Indonesian Cyber Media Association (AMSI), the Indonesian Anti-Slander Society (Mafindo), the Alliance of Independent Journalists (AJI), and Internews. Indonesia’s religious and ethnic pluralism, as well as its rapid adoption of the internet and social media, have provided fertile ground for the rise of mis and disinformation. Known as “hoaxes” in Indonesia, they are an increasing presence during key elections, according to a recent paper published by the University of Hong Kong. Ahead of this week’s elections, the Indonesian Press Council warned against “fake and unverified news agencies” that have sought to spread hoaxes during the election. In partnership with Internews and Alliance of Independent Journalists (AJI), the Google News Initiative launched a training network focused on fact-checking and verification, which will train 1800 journalists by the end of the year. Workshops are conducted in Bahasa Indonesia and led by local journalists, using a curriculum co-created by Indonesian partners in consultation with First Draft and Storyful. Google also provided resources and engineering support to Mafindo to build the technology platform that will host the collaborative project. 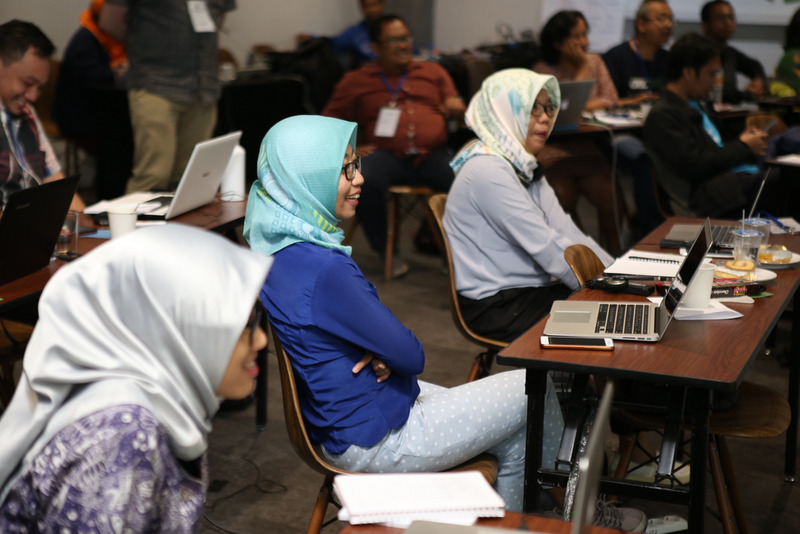 Google and CekFakta’s founders co-hosted the Indonesia Trusted Media Summit, which featured a massive two-day verification training led by the Google News Initiative Indonesia Training Network. 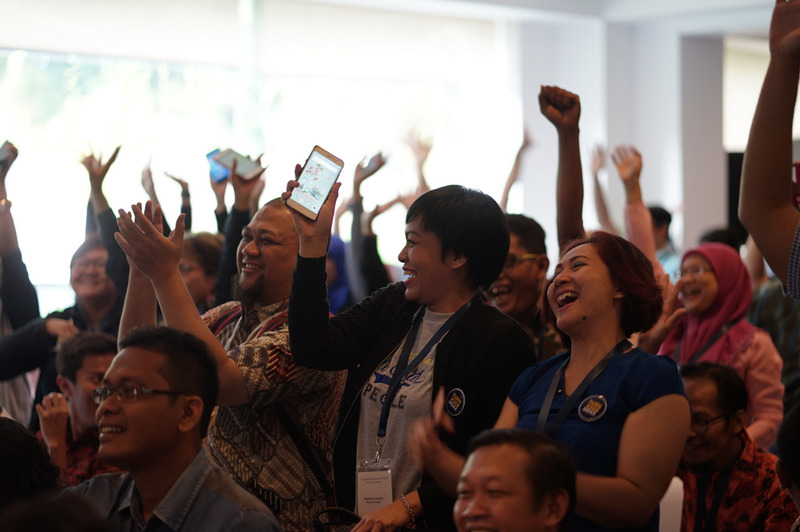 Participants of the Trusted Media Summit chant their commitment to fighting misinformation in Indonesia. For more on the Google News Initiative, including trainings and tools for journalists, visit g.co/newsinitiative.